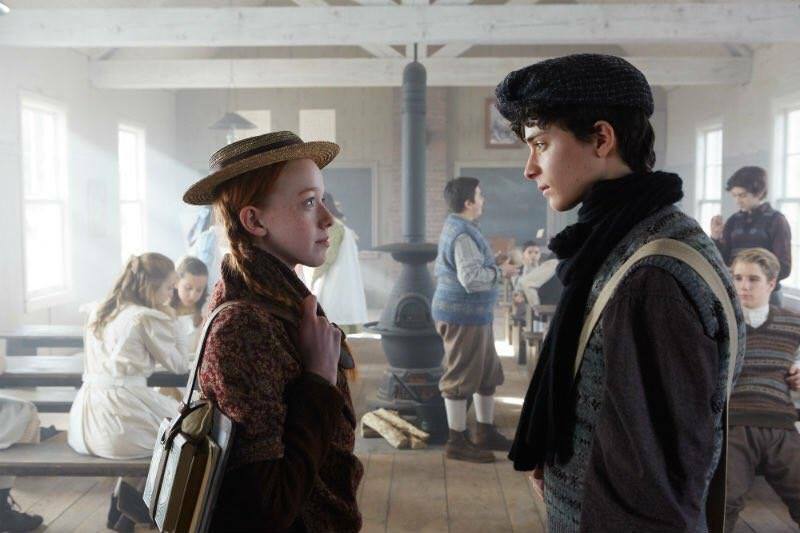 The new Netflix series Anne with an E brings to life a beloved series, Anne of Green Gables, and the director has taken risks. Today, Lyn Fairchild Hawks thinks about the ways those choices work – and don’t. From Lyn: Do you heart Anne because she was part of your growing up? Do you love her because she represents a bygone, simpler time and your nostalgia for it? Are you a book-to-film purist? Then tread carefully with this new Anne, the Netflix series Anne with an E.
I’m all these things, and yet I truly enjoyed the first season. (There are five planned, and season 2 is filming now.) But not as much as I love the books. Growing up, I read the first three in the series each six or seven times. They’re my sacred spaces. Writer and co-producer Moira Wally-Beckett, Emmy winner for writing the “Ozymandias” episode of Breaking Bad, and reportedly the kind of fan with lines memorized like me, brings some anti-heroine flavors that are shocking many. But in my mind, she hasn’t mauled this children’s classic with too much 21st century angst. What strikes me is that a writer with such nihilist credits (I love Breaking Bad, but I can’t rewatch it!) has found her happy place with her own version of beloved Anne. To me, this adaptation isn’t so much sacrilege as underscoring a truth: Anne today is just as nimble, dynamic, and magical as she was in 1908. The actors really get it right. 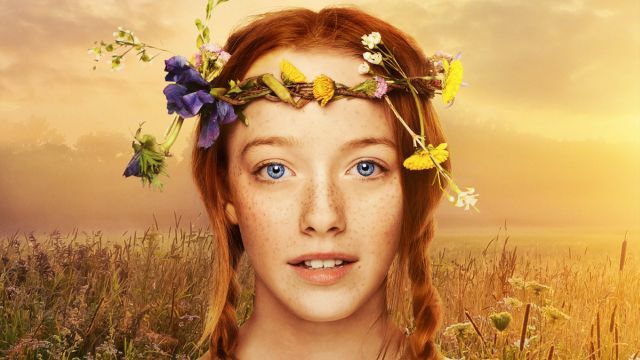 Actress Amybeth McNulty rocks the iconic fiery red hair and brings the alert, bright gaze of our dear Anne. Overcome by the natural beauty she drinks in, and passionate in all her expressions, this young miss doesn’t miss the mark. You will want to hug her as hard as Anne of the books. It apparently took auditioning 1,889 girls to find her. I believe it! Actress Dalila Bela, who plays Anne’s “bosom friend” and “kindred spirit,” Diana Barry, is also a perfect pick. Her portrayal is loving, innocent, and honest, without a bit of artifice. She’s a wonderful foil to the McNulty rollercoaster of emotion. Matthew and Marilla? Mrs. Rachel Lynde? Spot on. Perfection. Whether you agree with the script or storyline these actors have been given, I know these actors match the picture I had in my mind’s eye all along with reading. Gilbert is played by a good actor with an expressive face, and though he doesn’t look anything like what I pictured, I find him endearing. Fans will also love the straight borrow of Anne text for dialogue in scenes between Anne and Marilla. Whether it’s about the imagination, how to pray, or what to wear, you’ll get a “thrill,” same as Anne and her books gave you, when you hear those lines you know so well usher from these actors’ mouths. Oh, and the landscape. The Canadian countryside is a lush character itself, the camera loves it almost as much as Anne, and let’s just say, it looks pretty much like my and Anne’s “highest ideal of earthly bliss.” If you know L.M. Montgomery’s text, she gives loving and constant paeans to the natural world, Anne’s loyal companion in her everyday wanderings. The adds Walley-Beckett makes to bring suspense to what is a primarily episodic story tells me she doesn’t trust today’s audience to live without cliffhangers, darkness, and PTSD. As someone who’s abandoned House of Cards for being too imitative of life right now, I’d rather have my original Anne, and don’t need any 2017 stylings. I believe I and our thoroughly modern girls can handle retro. Seeing a poor girl get really excited over puffed sleeves brings tears to my eyes. It strikes the chord in many girls who remember wanting to fit in, so badly, and be as fashionable as anyone else. 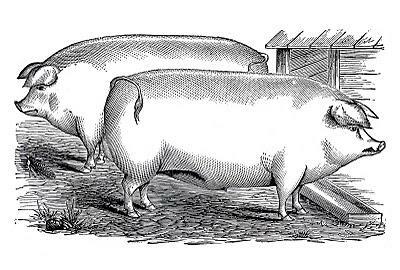 But I did like a few adds of Walley-Beckett’s, particularly Anne’s back story. Anne, orphaned close to her birth, has been handed off across too many families who use her as a maid and nanny before she comes to Marilla and Matthew at age 11. L.M. Montgomery alludes to these unhappy years but doesn’t dwell with more than an occasional paragraph, where Anne references these moments without a ton of self-pity. Walley-Beckett dives right into the past, however, and lets us see beatings, bullyings, and poverty. Anne is a survivor, and I have no trouble believing that the grimness added is probably much what it was like for an orphan girl in the late 1800s who’s farmed out to working families. She was probably beaten and run ragged with the childrearing. One of the women Anne served had three sets of twins; enough said. I bet L.M. Montgomery’s pithy paragraph spoke volumes to the audiences of her time, as causes such as women’s suffrage and birth control were gaining popularity. The book was forged in a time of class struggle, misogyny, child labor, diseases without vaccines or cures, and back-breaking farm work for many. Some fans who treat Anne as escapist fiction only—and trust me, there’s good reason for that!—will be startled if not alarmed at these intrusions. I treat these adds as necessary reminders of the evil lurking close behind us all, and the fragility of human life. The hyperbolic bullying by some of the town kids isn’t particularly good writing, and it was irritating enough to me but maybe resonates with our kids who experience such things, words run amok, and relentless harassers whom too many allow to run riot over us in real time and virtual. But Walley-Beckett had to add what I call silly things like a wild-goose chase of sending Anne back to the orphanage, then a rush to retrieve her, or overwrought, hyper-educational period bits about feminism—Marilla’s invited, then disinvited—from a feminist women’s book club. Anne saving Minnie May from death was powerful in the book and powerful here, so we don’t need Anne also being the only one in town who knows how to stop a fire from spreading (she saves Ruby Gillis’ burning home to close doors and windows). The season end on a stupid cliffhanger—nothing less than something wicked this way comes in the presence of two criminal strangers—is stupid, when you could have used the Anne-Gilbert romance or Anne’s saving of Minnie May as something more compelling. These kind of adds are making some fans quite angry. While I understand why, I also imagine why Walley-Beckett made these adds. Working in the TV medium, each episode craves a neat little arc, so why not a chase or a fire to give us reason to stay the 45 minutes? Why not let Anne indulge in a few too many tantrums? She is highly anxious, quick to anger, and easily overwrought in the books, and if she’s a bit too much on screen, it may be simply because the visual assault of sound and image isn’t the same when reading. We can pace ourselves. I wasn’t even upset by Matthew attempting suicide and interrupted by a former love interest who comes to see him. The actors again are so on point that these events to me seem like icing on an already-perfect pound cake. Some people love icing, I really do, I’m not so much offended as long as the adds reinforce the essential Anne-ness. But if this stuff makes you angry, then do bond with Joanna Robinson’s review, whose Vanity Fair takedown of Anne with an E is full of good old-fashioned high umbrage. Gilbert getting orphaned, and Anne failing at consoling him after his dad’s death? It’s actually fodder for a character arc, where Anne realizes her own narcissism, and offers a wholehearted, sincere apology, and they spell out T-R-U-C-E together. Nicely new, and nicely done. Ms. Josephine’s “best friend” being an implied lesbian partner? It’s handled deftly enough, and would be true enough for some “old maids” that I didn’t mind it one bit. Whatever you might call this remix Walley-Beckett hath wrought, I will salute its uniqueness, its gray as gray as Anne’s eyes, and its boldness. I say that as long as Anne’s compassion, lovability, imagination, and eccentricity don’t cease, I’m in for the long haul. Terrific review. Thank so much. Thank you, Barbara! Jen, love the images you included!